"Portage Bridge R.R. 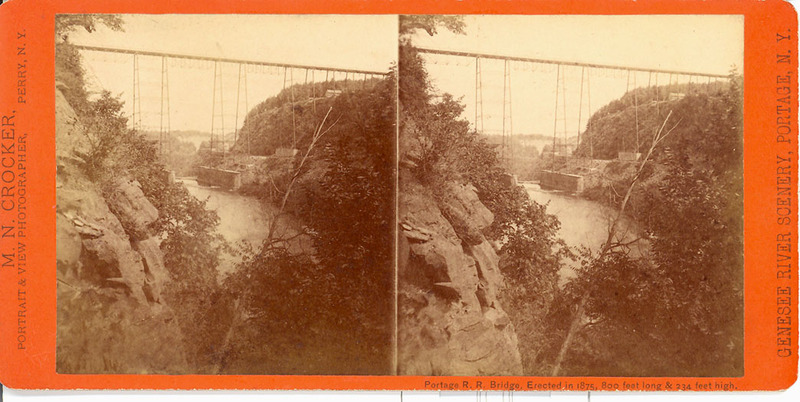 Bridge, Erected in 1875, 880 feet long & 234 feet high." 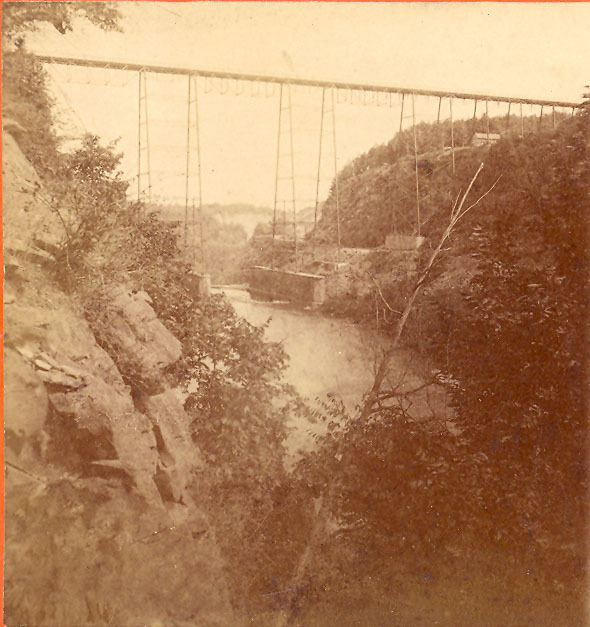 "Genesee River Scenery, Portage, N.Y."
The photographer was feeling rather brave the day he took this interesting view of the Iron High Bridge. It was taken from a ledge on the west side of the gorge looking downstream toward the Bridge and Upper Falls. You can see Inspiration Point in the distance through the bridge towers. Something else of interest can also be seen through the bridge towers. Look carefully at the east bank, not far from the end of the bridge. There is a structure standing on the flat open area north of the bridge. Could it be the elusive dance pavilion that once stood somewhere in that vicinity? It is, of course, possible that the structure is a storage or work building associated with the 1875 construction of the new iron bridge.